Many people have tried to persuade teachers to use Minecraft for Education as a learning tool, as claims that it has the power to enable students to explore, create and imagine in a completely different way than they could ever do in a traditional classroom (Edutopia). The popular world-building game, no doubt, does have the power to unleash creativity in a digital manner similar to Lego bricks, but how teachers can implement this in the classroom is a challenge facing many who can see the potential of the technology. The jump to iPad and Android has allowed Minecraft to become more portable, but a research project by the Art and Design Academy at Liverpool’s John Moores University is aiming to provide tools and teaching materials which make it easy to use Minecraft as a platform for collaborative design between young people. 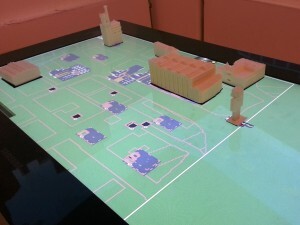 One of the main advances in helping this drive forward is 3D printing, which now allows for designs made within the Minecraft game to be printed into tangible creations, which show a physical outcome to a learning project, rather than a result which remains hidden within a computer device. Using Printcraft, it is now possible to build and 3D print Minecraft structures, and with the help of touch screen technology and projectors, a fully immersive experience can be created. It’s all about creating a fluid relationship between the Minecraft world and the real world, but the benefits of the technology had surprised the researchers in how the technology engages children with special needs. Currently based within the Foundation for Art and Creative Technology (FACT) in Liverpool, the aim of the project is to build resources and ideas for educators who want to incorporate the Minecraft technology further. Don’t ‘get’ Minecraft? See the video below which shows some of the potential! 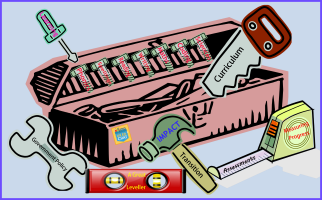 Session 197: What Educational Tools can we use…and how?